It wasn't the most exciting week and was a bit depressing, since we got two big storms again, one on Monday and another on Thursday. On Monday, I left work around noon because the snow was coming down heavily and I had enough work to do from home anyway. 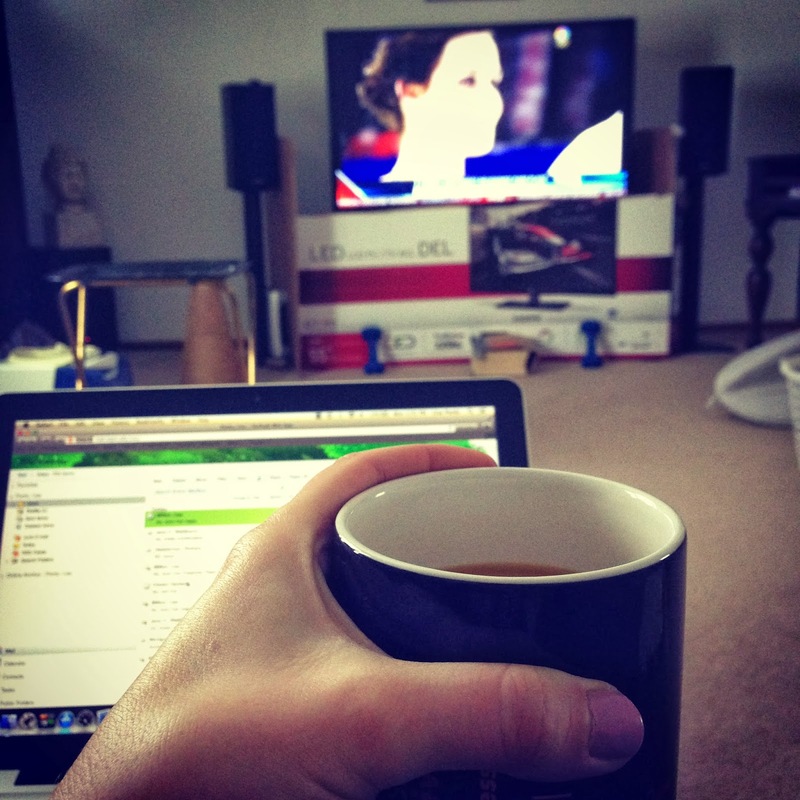 I enjoyed having the Olympics on in the background and being able to brew some coffee in the early afternoon. I had to shovel everything by myself, so I could get my car out of the driveway and we could drive to a car appointment for Craig. 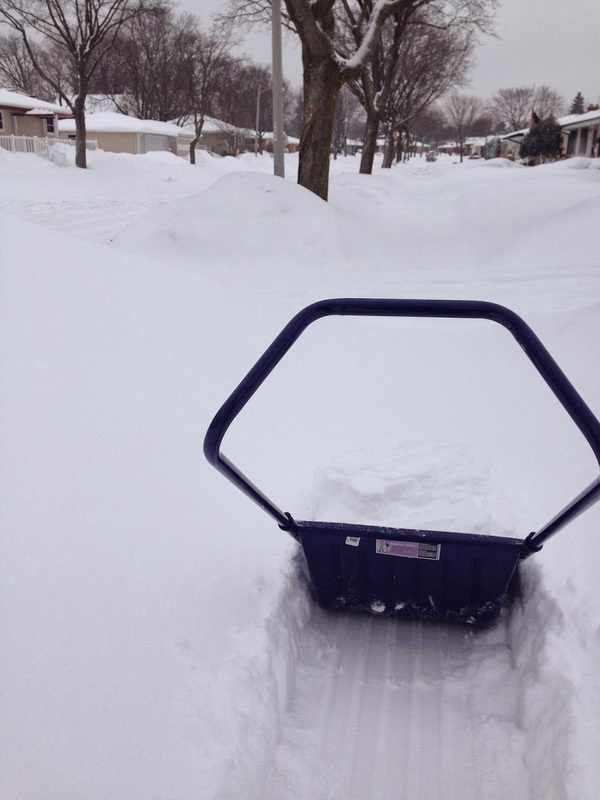 It was quite the workout, but I am really glad we have this huge shovel. 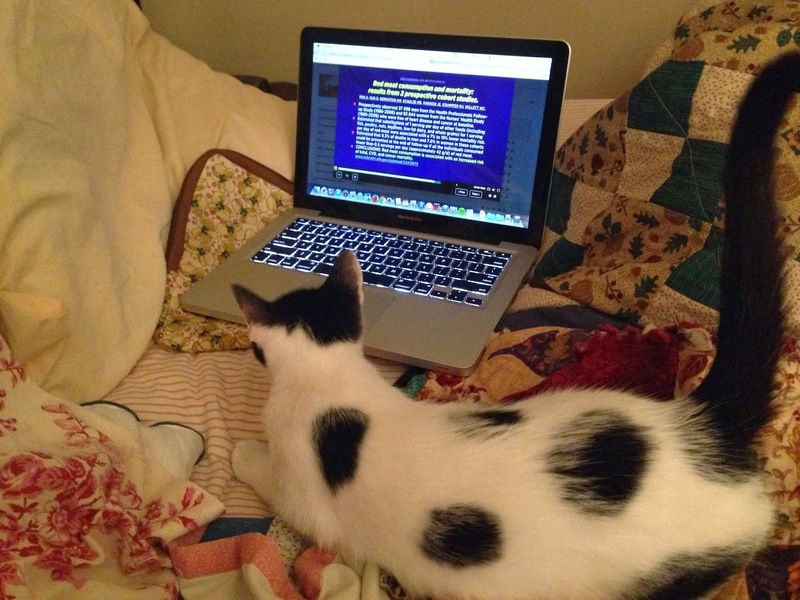 I tried to catch up on some of my coursera coursework. 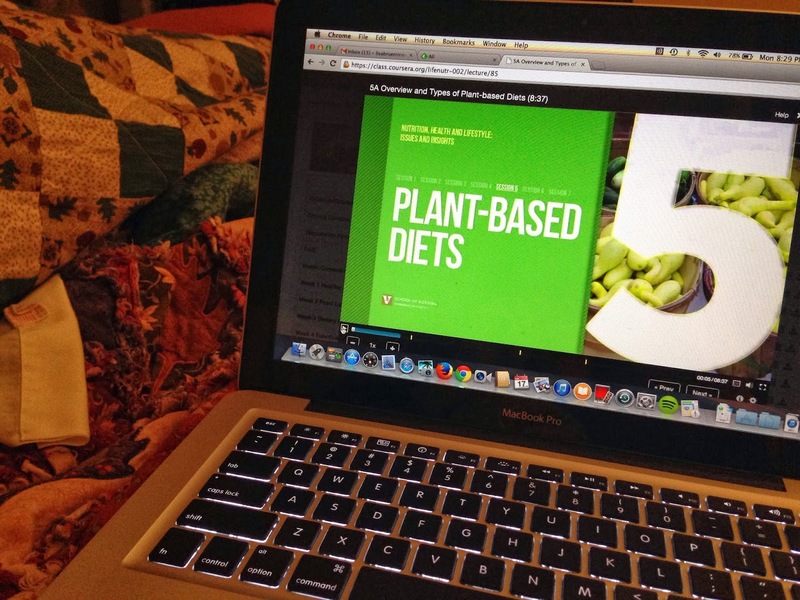 This week's topic was plant-based diets, which this vegetarian totally geeked out about! I still some video lectures to get through, but I love what I learned so far. Two weeks from now, I have my biggest program at work for the year and it's been quite stressful dealing with all of the last minute details to organize it. 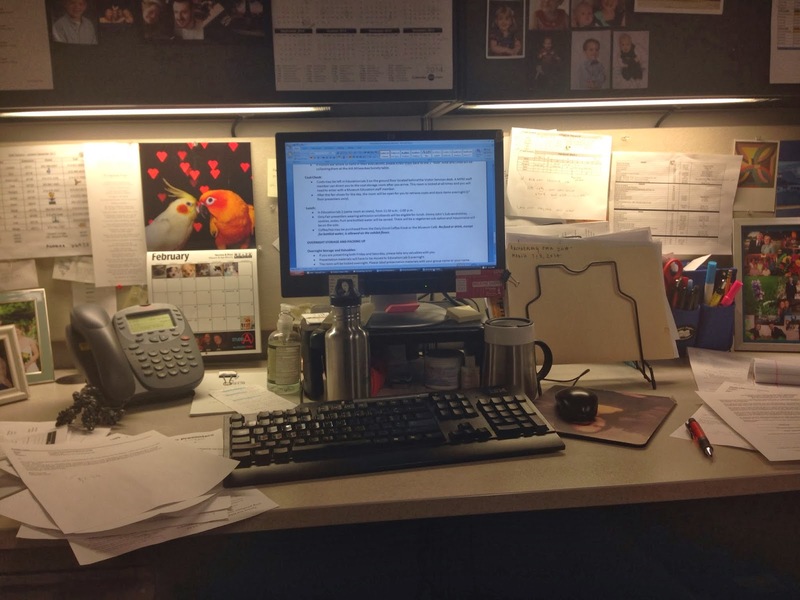 My office at work has been a mess, but I managed to get it clean and papers filed away before leaving for the weekend. I ate somewhat healthy this week. I refused free cookies at work and tried to avoid sugar as much as possible. 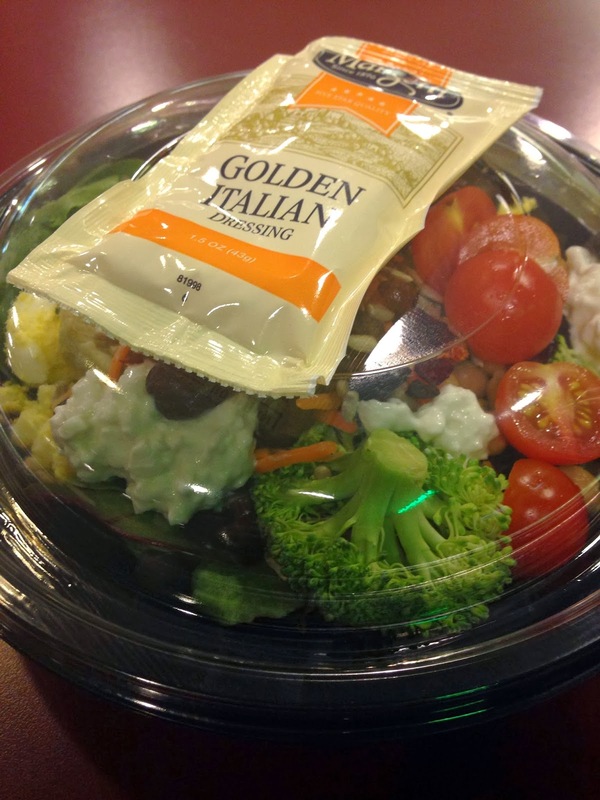 I enjoyed a big salad from the work salad bar while catching up with a former colleague and giving her some health advice. After an allergy clinical trial appointment, I headed to Sendik's to stock up on produce and purchased some veggie rolls for dinner. 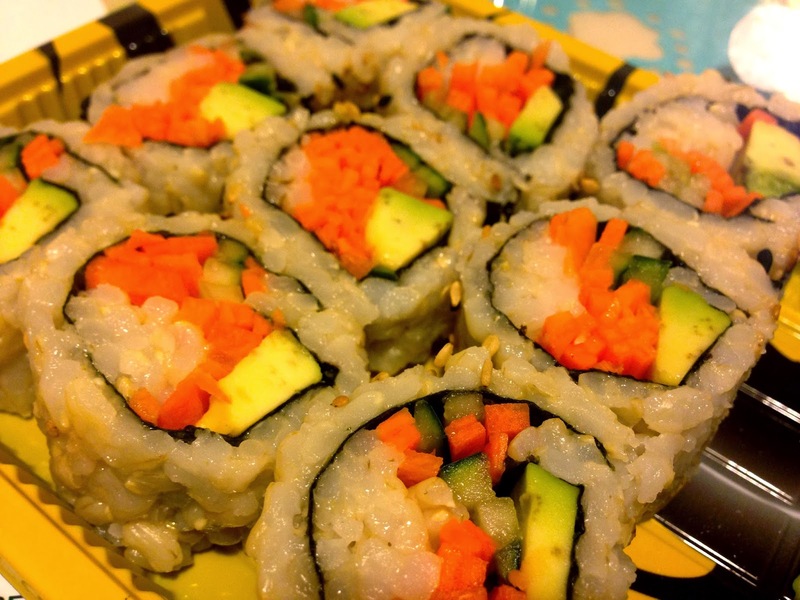 I had been craving sushi for weeks, so this really satisfied my craving. 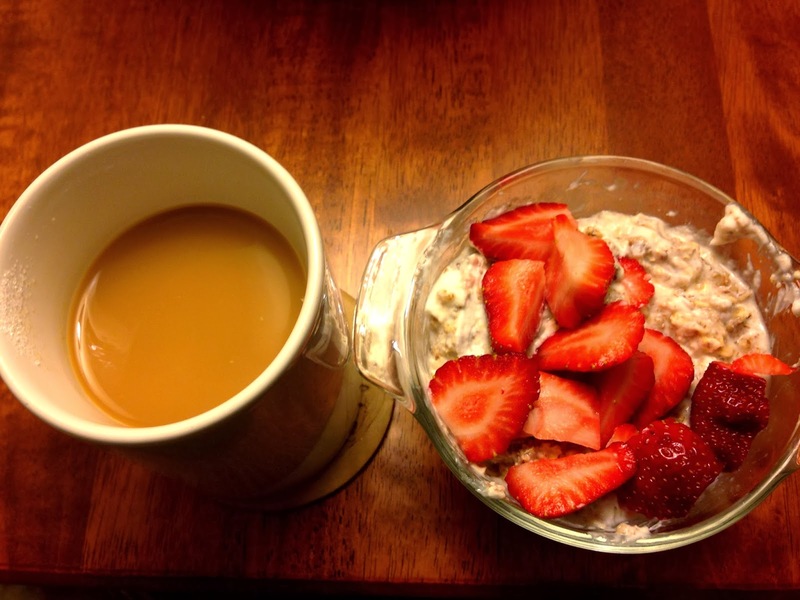 I'm back to eating muesli for breakfast, which I prep overnight like people make overnight oats. I just soak no sugar added Alpen Muesli in almond milk and lemon juice overnight and then add greek yogurt, fresh fruit, honey and chia seeds in the morning. 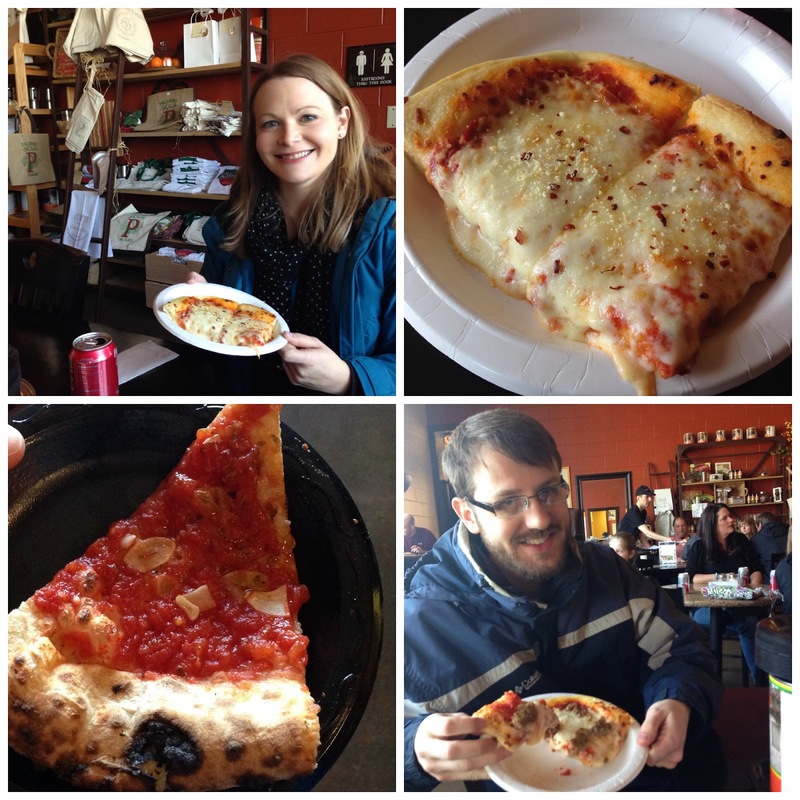 Craig and I started out our Saturday morning with a Palermo's pizza tour in the Menomonee Valley. I had purchased a Groupon for it a couple of weeks ago and thought it would be a fun thing to keep secret until we actually arrived at the tour. Since I booked the tour for a Saturday vs. during the week, I knew production would actually be shut down, but we still got to see the production area from above. We started out with a fifteen minute introduction to the family, the history of the company and their community involvement. Back at the restaurant area after the brief tour, we enjoyed the pizza selections I pre-ordered--cheese for me and sausage for Craig. Chef Arturo provided a cooking demonstration, which involved talking about the wood-burning stove and making us fresh original pizza. The first pizza actually had no cheese or tomatoes on it--it was just dough with olive oil, garlic and herbs. The one we tried today and tomato sauce with just garlic and sea salt. We both received t-shirts as souvenirs. Mine says "Keep Calm Eat Pizza" and Craig's says "Honorary Italian." The tour also included some coupons for frozen pizza and then 20% off anything in the shop, so Craig got a pepperoni pizza to take home. It was a fun tour and we enjoyed doing something different! This weekend flew by! Maybe that's because I spent a lot of my free time napping on the couch. That has to end in the future. On Friday, I made Craig a Valentine's Day card and had the kitties "kiss" it. I also made some brownies as a surprise and we had that for dessert with some ice cream and caramel sauce. Shiva found a gross bug and was freaking out. Pema had no clue what was going on. We headed to brunch at Wolf Peach on Saturday morning, to celebrate Valentine's day after the crazy restaurant rush. I ordered the mascarpone stuffed french toast with vegan sausage. Craig had the smashburger. The views of Milwaukee from the restaurant were gorgeous, as always. We liked the building across the street and peeked inside on our way back to the car. This really cool cash register impressed us. Someone was working on restoring the building, so I hope it turns into a new restaurant or bar. The kitties enjoyed the sunshine together. Shiva tends to sit in funny places on us. He sat on Craig's shoulder today. He likes to be really close to my face and snuggle it. Besides napping, I got some cleaning done, plus a little reading of this book, which features some nice behind the scenes stories so far. Song on repeat: One Republic’s “Counting Stars." I kept hearing it on the radio and it puts me in a good mood. 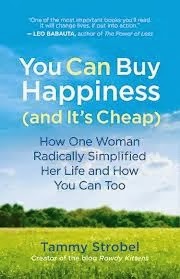 Book (and blog) I am currently loving: Tammy Strobel’s RowdyKittens blog and her book, You Can Buy Happiness (and It's Cheap): How One Woman Radically Simplified Her Life and How You Can Too . I am working on being more minimalistic and I really respect Tammy and her husband for living in a tiny house (128 square-feet) and making it work. Looking forward to: SPRING. 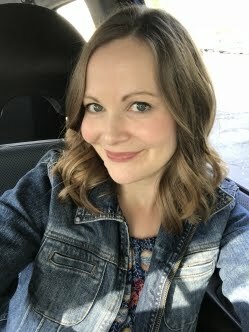 This cold weather plus insane amount of snow is just sucking the life out of me (and everyone else I know). I will be spending a lot of time outside this summer. Cooking/baking: not much lately, but I do want to make the raspberry coffee cake Karis posted. My mom was making it this afternoon. Product I love: Quince and Apple's Fig and Black Tea preserves. I will definitely keep supporting the Madison based, small business by buying their product! It's perfect mixed in Greek yogurt, by the spoonful, or on toast. Movies we've seen: Her and Jobs. Her was pretty good--Craig loved it. 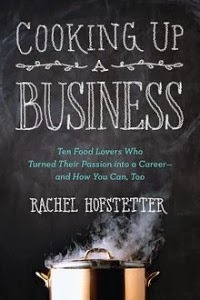 Jobs started out like a made for TV movie, but it was ok in the end. I didn't love Ashton Kutcher in the role. We're going to see Monuments Men this week! 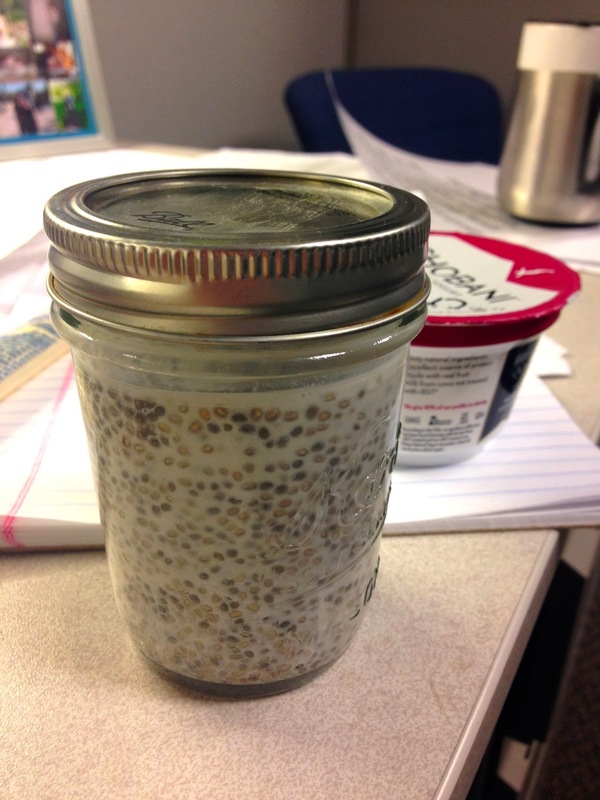 Healthy dessert: in between eating those evil and addictive Girl Scout cookies (peanut butter patties are my fave), I had to mix up my dessert selection by adding in a healthy chia seed "pudding." I just combined chia seeds with almond milk and almond extract. I also recommend adding cacao nibs.